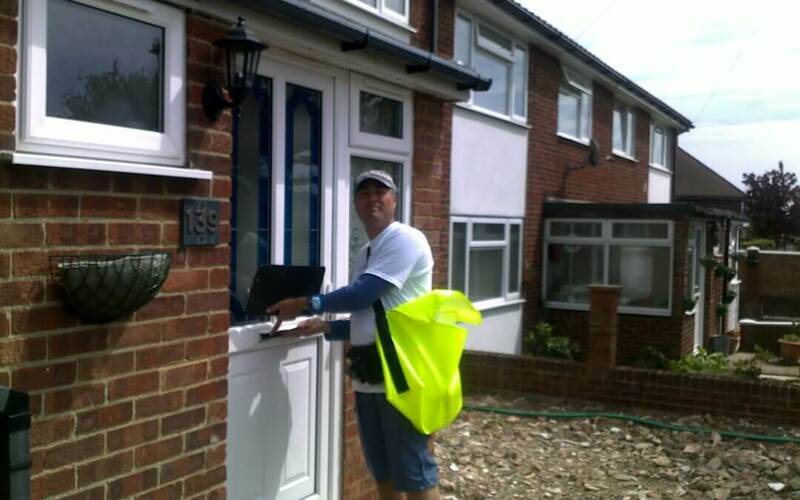 What is door to door leaflet distribution? Door to door leaflet distribution, as the name implies, is a direct marketing service where leaflets are posted through front doors thereby directly reaching potential customers. There are two different options for the door to door leaflet distribution and they are shared and souls. Let’s look at them in a little detail. #1-What is Door to Door Leaflet Distribution: Types of Distributions. Solus is a focused distribution service where a company’s leaflets are delivered on their own without any other leaflets being including in the leaflet drop. This means there is nothing else to distract the attention of a potential customer. This is also known as multi-drop distribution and it’s where your distributor will deliver several leaflets at once through a letterbox. So your leaflets will land in a little pile in someone’s home amongst leaflets from other firms. Responsible distribution companies will never put leaflets from competing companies together and they will typically limit the number of leaflets that are delivered at the same time to around three or four. #2-Comparing Shared with Solus Distribution. Both forms of leaflet distribution have their own merits. Solus distribution tends to be the more expensive option but its response rates are generally higher. As the only company’s leaflets going through a home’s letterbox at the time of delivery will be yours it’s an opportunity to achieve maximum visibility. Of course, there are no guarantees that you will get a response because your intended audience may not want what you are offering. But there is more chance of your leaflets being seen when they are delivered on their own. Shared leaflet distribution is the cheaper of the two methods because your distribution will be matched with other advertisers so you will be sharing the cost. However, the response rates tend to be lower than that achieved by solus distribution. Time-pressed potential customers are less inclined to read every leaflet that has been delivered as part of a bunch. Nevertheless, shared distribution can also be a very effective way to reach an audience. Plus, you can do things that will make your leaflet stand apart from the others it is going to be delivered with. For example, incorporate a beautiful design, write an attention-grabbing headline and make special offers. #3-The Effectiveness of Door to Door Campaigns. Even in this digital age with pay-per-click, artificial intelligence and algorithms, door to door leafleting is still a very powerful tool and one of the best ways of advertising offline. According to figures published by the Direct Marketing Association (DMA) 89% of customers remember receiving a leaflet that dropped through their door. That is more than any other marketing channel. What’s more 45% percent of people will keep a leaflet in the house, in a drawer or where it can be seen such as on a noticeboard in the kitchen. So, for a short while, a leaflet is a continual presence in the home, a visual reminder of a company and its products. That’s the kind of visibility you just don’t get with email messages or advertising through social media. I hope this answers your question what is door to door leaflet distribution. Let us know what you think by commenting below.